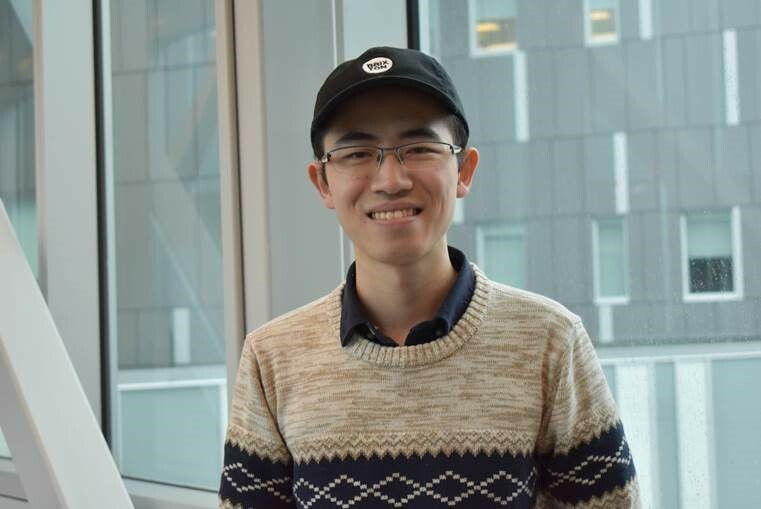 Statistics and Actuarial Science PhD candidate Rui Qiao was one of the six students who won the 2019 Huawei Prize for Best Research Paper by a Mathematics Graduate Student. This award recognizes the impact of his Deep learning enables de novo peptide sequencing from data-independent-acquisition mass spectrometry with a prize of $4,000. University of Waterloo Team Wins Munich Re Cup! 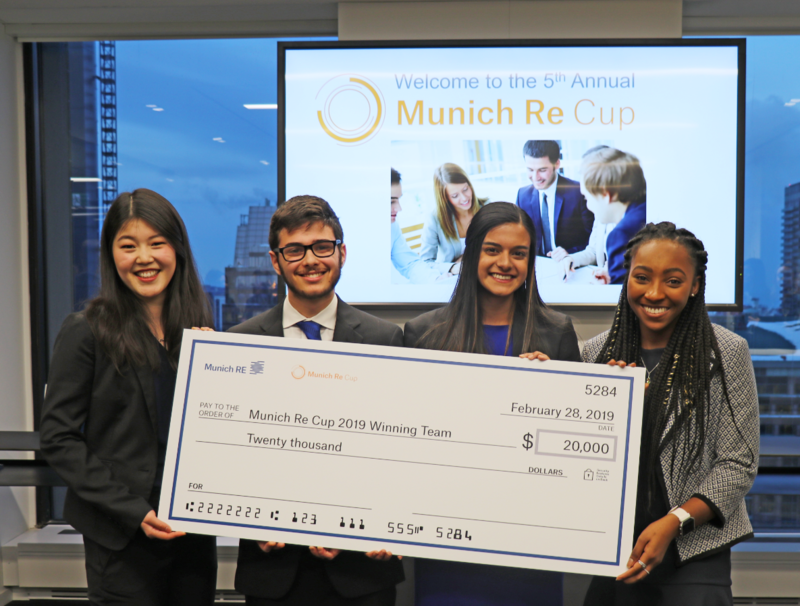 The Department of Statistics and Actuarial Science congratulates the University of Waterloo Team, consisting of Ryan Goldford, Jasmine Sirohi, Adaijah Wilson, and Jillian Zhu Ge, for winning the 2019 Munich Re Cup. The Munich Re Cup is the premier actuarial case competition open to students in Canada and the United States. Competing teams present their work on a real-world business problem requiring significant technical analysis and high-level business decision making to a panel of Munich Re executives. The 2019 competition examined the very timely problem of IFRS 17 implementation. We are very proud of the Waterloo team for placing first and winning the $20,000 grand prize! Become a CAS Student Central Ambassador! If you are interested in becoming a CAS student ambassador, please fill out the web form. The Master of Quantitative Finance program has been recognized as the top quantitative finance master's program in Canada. 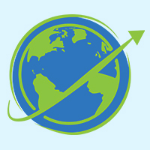 Risk.net's Quant Finance Master Guide 2019 has updated their world ranking of the top 15 leading quantitative finance master's programs. University of Waterloo's Master of Quantitative Finance (MQF) secured the top spot within Canada and 12th overall globally. "metrics including graduate salaries, programme selectivity, student-lecturer contact hours and faculty research scores to run the rule over more than 40 leading quantitative finance-focused master’s programmes worldwide. Particular weight was given to average graduate salaries and a strong employment rate." There are currently eight programs recognized by the Vector Institute for Artificial Intelligence for ensuring that master’s graduates are equipped with the knowledge, skills and competencies sought by industry. The Department of Statistics and Actuarial Science's Master of Mathematics (MMath) Data Science Specialization is one of the few recognized programs. The Vector Institute (Vector) has been tasked with supporting Ontario’s growing AI eco-system by aiding Ontario’s AI companies and labs source talent. 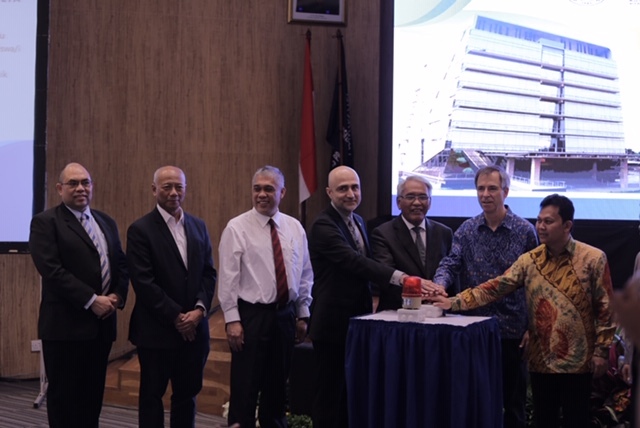 This will be achieved through a combination of three primary activities: talent placement via internships; networking and AI community building; and, applied AI education. A primary goal associated with applied AI education is to increase enrolment and the number of graduates from AI-related master’s programs. To support universities in achieving this goal, Vector has introduced the Vector Scholarships in Artificial Intelligence (VSAI) to recognize top students enrolled in AI-related master’s programs. The VSAI are expected to enhance recruitment of top tier students, increase the number of applicants to recognized AI programs, increase access to advanced studies in AI, and build community among scholars.